While previous posts have discussed political cartoons from American publications like Harpers Weekly, Punch was a popular periodical in England. Art Historian Allan T. Kohl works at Minneapolis College of Art & Design and has put together an interesting collection of Punch’s “principal cartoons” related to the Civil War. Weekly editions “featured a principal cartoon, sometimes called the “big cut,” commenting on a significant event or issue,” as Kohl explains. Each cartoon includes a short description and one can browse this collection in several different ways. In addition, Kohl discusses the various ways that historic individuals and national symbols appeared in the cartoons. The chief illustrator at Punch during this period was John Tenniel (1820-1914) , who also provided the illustrations for Lewis Carroll’s Alice’s Adventures in Wonderland (1865) and Through the Looking Glass (1872). You can learn more about Tenniel in Frankie Morris, Artist of Wonderland: The Life, Political Cartoons, and Illustrations of Tenniel (2005). 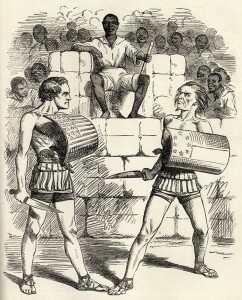 Both Google Books (1862) and the Internet Archive (June-Dec. 1860) have digitized some issues of Punch from this period. 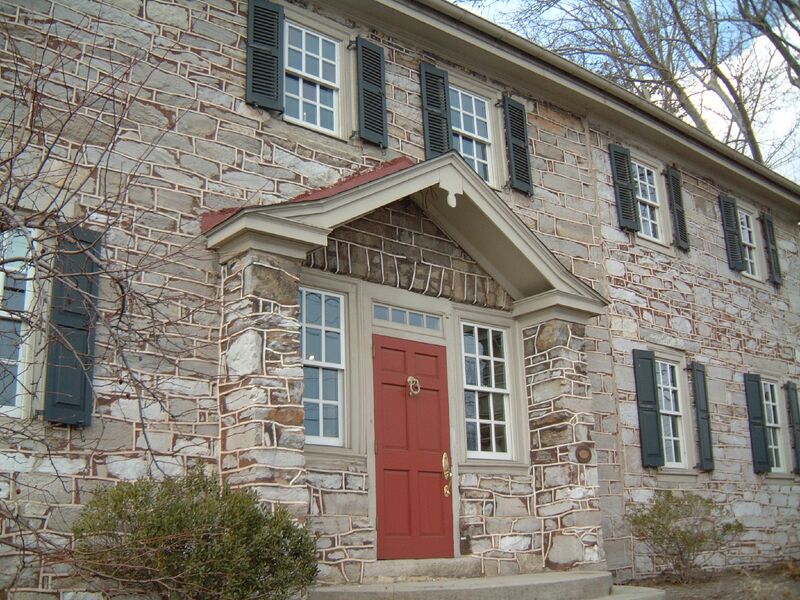 The Rupp House in Mechanicsburg, Pennsylvania served as the headquarters for Confederate General Albert G. Jenkins’ brigade during the Gettysburg campaign in late June 1863. 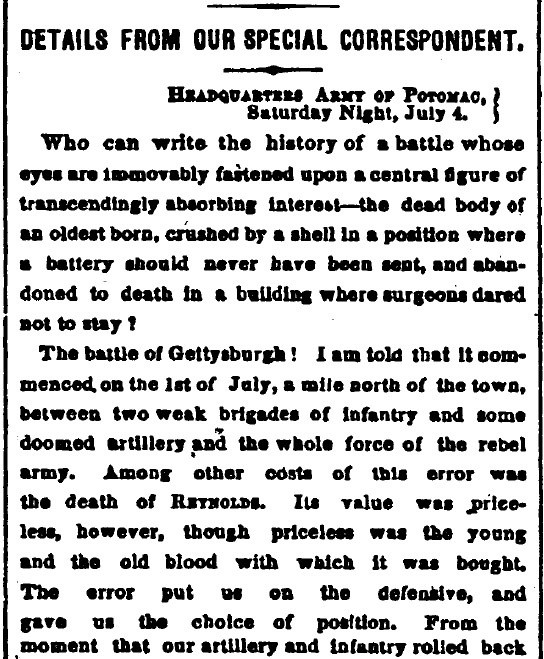 On June 28 Jenkins’ troops captured Mechanicsburg without encountering any resistance. Two days later, however, Jenkins received General Robert E. Lee’s order to regroup at Gettysburg. As Jenkins’ brigade left on June 30, his rearguard became involved in the Battle of Sporting Hill. 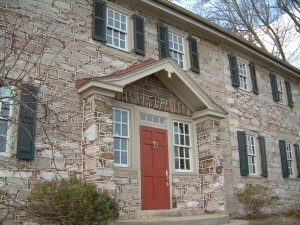 The Rupp House was built in 1787 by Jonas Rupp. His grandson’s family owned the house in 1863 and they remained in Lancaster, Pennsylvania while the Confederates were in Mechanicsburg. The Rupp House is at 5115 East Trindle Road, but it is currently not open to the public. You can learn more in an essay on ExplorePAhistory.com, Robert Grant Crist’s article “Highwater 1863: The Confederate Approach to Harrisburg” (Pennsylvania History 1963), and in Wilbur Sturtevant Nye’s Here Come The Rebels! (1965). Image courtesy of Flickr user cthoyes. House Divided is in the process of adding interactive essays to the database as a part of its Journal Divided project. I created an essay on the Philadelphia refreshment saloons that specifically focused on the Cooper Shop Volunteer Refreshment Saloon and its contribution to the city’s home front relief efforts during the Civil War. The Cooper Shop opened on May 26, 1861 and went on to add a hospital in October that cared for sick and wounded soldiers throughout the duration of the war. 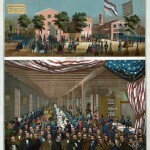 Although larger refreshment saloons formed in the city, Philadelphia’s residents warmly remembered the Cooper Shop because of the dramatic individual efforts of its three leaders: William M. Cooper, the president of the establishment, Dr. Andrew Nebinger, the head surgeon of the Cooper Shop Hospital, and Anna M. Ross, the Lady Principle of the hospital. Visiting physicians such as Dr. C.E. 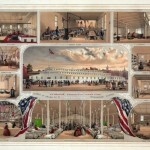 Hill described the positive atmosphere created by the committee’s hospitality and claimed, “soldiers were never better cared for than in this hall.” The refreshment saloons are still remembered in modern scholarship as historian J. Matthew Gallman commented, the saloons “greatest benevolent contribution cannot be measured by returns on ledger sheets, but by the long hours devoted to sewing clothes, cooking food, and ministering to wounded soldiers.” The saloons closed in late August 1865 as the war came to an end and they were no longer needed. For more interactive essays, visit the Journal Divided Site. Click on any of the images below to view a slide show of the Philadelphia Volunteer Refreshment Saloons during the Civil War in Flickr. 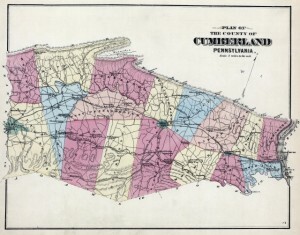 The House Divided project received permission from the Cumberland County Historical Society to post articles that explore topics related to the Civil War era in Cumberland County, Pennsylvania. These essays originally appeared in the Cumberland County History Journal. Right click on the links below and select “save as” to download the article as a PDF file. (Adobe Reader is a free program that is required to vide these documents). Patricia Coolmeyer, “Southern Sentiments: A Look at Attitudes of Civil War Soldiers ,” Cumberland County History 7 (1990): 68-79. Patricia Coolmeyer’s essay explores the different ways that soldiers and residents of southern Pennsylvania saw the South during the Civil War. Coolmeyer uses a wide variety of sources in her account, including letters, diaries, local newspapers, and other nineteenth-century publications. 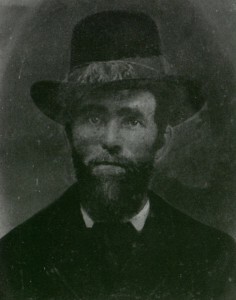 James A. Holechek, “From Carlisle and Fort Couch: The War of Corporal John Cantilion,” Cumberland County History 10 (1993): 71-80. 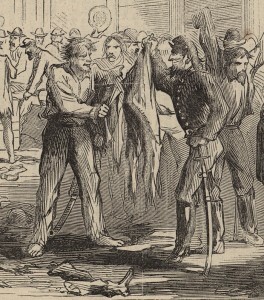 James A. Holechek’s article focuses on Corporal John Cantilion’s experiences in central Pennsylvania during the summer of 1863. Cantilion served in the 4th United States Cavalry and was stationed at Carlisle Barracks in early June 1863. This essay includes transcripts of letters that Cantilion wrote from Carlisle Barracks on June 19 and from Fort Couch on June 23. Holechek also provides the transcript of a letter that Cantilion’s wife, Sarah, wrote in early November 1863. However, Cantilion died on November 12, 1863 and never received that letter. In addition, photographs of John and Sarah Cantilion are reproduced in this essay. 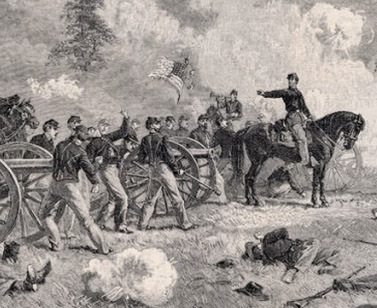 Union forces forced Confederates to withdraw after they brought in a detachment from Landis’ Philadelphia Battery of Light Artillery, but they were unable to pursue them. Reports indicated that approximately sixteen soldiers died during the engagement. A historical marker is located at the intersection of 31st Street and Market Streets in Camp Hill. You can read more about this battle in an essay on ExplorePAhistory.com, Robert Grant Crist’s article “Highwater 1863: The Confederate Approach to Harrisburg” (Pennsylvania History 1963), and in Wilbur Sturtevant Nye’s Here Come The Rebels! (1965). This weekend, Northfield, Minnesota, has been host to the 2010 Vintage Band Festival. The four-day festival draws brass bands from as far away as Helsinki, Finland. One of the highlights of the weekend was a reenactment of a Civil War “battle of the bands,” with two bands in historical costume facing off across the Cannon River, which flows through the middle of Northfield. On the east side of the river was Newberry’s Victorian Cornet Band, from Maryland, which specializes in music from the period 1870 to 1900. On the west side of the river was the 1st Brigade Band, from Watertown, Wisconsin, which specializes in music of the Civil War era. The band members play “over the shoulder” instruments, the bells of which face backwards toward the soldiers who were marching behind the band. You can see an over the shoulder bugle in the collections of the Metropolitan Museum of Art here. Just before ‘tattoo’ the military bands on each side began their evening music. The still winter night carried their strains to great distance. At every pause on our side, far away could be heard the military bands of the other. Finally one of them struck up ‘Home Sweet Home.’ As if by common consent, all other airs ceased, and the bands of both armies as far as the ear could reach, joined in the refrain. Who knows how many hearts were bold next day by reason of that air? In Northfield this weekend, the Newberry Victorian Cornet Band retired from the field after a rousing rendition of “Dixie,” which you can listen to here. You can find a history of the 1st Brigade Band on the modern band’s website, and photographs of the original band members in the digital collections of the University of Wisconsin. The Library of Congress American Memory collection has an excellent online exhibit of “Band Music from the Civil War Era,”including audio files of some of the music and downloadable scores. Click here for a small slideshow (six photos) of the 2010 battle of the bands in Northfield, and here for a video of the battle of the bands during the 2006 Vintage Band Festival in Northfield. Before going to bed on October 10, 1862, Chambersburg resident William Heyser noted in his diary that he had “secreted some of my most valuable papers.” Confederate cavalry under the command of General J. E. B. Stuart had arrived several hours earlier and forced the town to surrender. Union forces had been caught by surprise and none were available to defend the town. “It would have been an act of madness to have made resistance…and would have involved the total destruction of the town,” as the Chambersburg (PA) Valley Spirit noted. The raid, as the Milwaukee (WI) Sentienel described, “was the most daring adventure of the war” so far. Besides gathering intelligence, one of the Confederate’s other objectives was to take as many supplies as possible. Horses were one key item and Alexander Kelly McClure, an assistant adjutant Union general, later recalled how ten horses were taken from his farm. (You can read McClure’s full account of the Confederate raid – “A Night With Stuart’s Raiders”- here). Yet as one Confederate soldier’s letter revealed, they also seized a number of other supplies. “I got 8 pair of boots, 4 over coats, 5 pair of pantaloons, 2 hats, 6 pair of socks, 6 pr. Draws, 6 over & under shirts, [and] some coffe & sugar” during the raid, as Edward Cottrell told his grandmother. As Confederates left Chambersburg on October 11, they burned warehouses that held government supplies. One contained ammunition and, as Heyser described, “the succeeding explosions of shells and power was tremendous.” While Union forces were dispatched to intercept and capture the raiders, General Stuart evaded them and returned to Virginia without any major engagements. You can read more about the raid in Emory M. Thomas’ Bold Dragoon: The Life of J.E.B. Stuart (1986) and Jeffry D. Wert’s Cavalryman of the Lost Cause: A Biography of J. E. B. Stuart (2008). 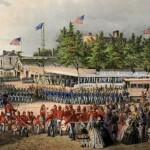 On May 23 and 24, 1865, Union soldiers paraded through Washington D.C. for a grand review of the troops, a celebration from the grateful citizens to the Union soldiers for their efforts and service in winning the Civil War. Noticeably missing from the celebration were the over 180,000 United States Colored Troops who fought along side these troops being honored in the nation’s capital. While denied participation in the “Grand Review of the Armies,” black regiments from Pennsylvania and Massachusetts gathered in Harrisburg, Pennsylvania on November 14, 1865 for their own Grand Review. Thomas Morris Chester, a prominent Harrisburg resident and recruiter of black soldiers served as grand marshal of the Grand Review. 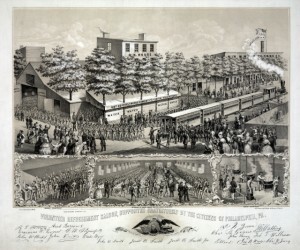 The troops marched through the main streets of the Pennsylvania capital to the home of Senator Simon Cameron who delivered a speech honoring the black troops and commending them for their service and sacrifice to the Union. Cameron, an abolitionist and one of the early advocates for using black troops in the war, gratefully acknowledged the soldiers in the speech that was reprinted in the North American and United States Gazette in Philadelphia the following day. The report called the celebration a success throughout and estimated that nearly seven thousand blacks attended the Grand Review as well as a sizable white population who came to pay their respects to “those who escaped the perils of a contest in which they risked their lives in defense of the nation honor and support of the constitutional authorities.” One of the prominent black participants was Reverend John Walker Jackson who offered a prayer that served as “a beautiful acknowledgment of the services which the black man rendered in the struggle for American nationality, civilization and freedom. The orator of the event, William Howard Day, discussed the attitude of the colored man and “the prospect which lay before him for improvement, social elevation and the acquirement of political rights.” The Grand Review concluded with a grand ball where the soldiers and those honoring them convened one last time. Cumberland County History, a historical journal compiled annually by the Cumberland County Historical Society, has provided nearly three decades of research into the county’s long history. The journal has published several articles on Civil War soldiers from the surrounding community. They utilize several primary documents and effectively offer insight into the emotional departure from loved ones, the lives of soldiers during the war, and the enemy just beyond the Mason-Dixon Line. James A. Holechek features the Civil War experiences of John Cantilion in his article “From Carlisle and Fort Couch: The War of Corporal John A. Cantilion.” By tracing his service in the United States army through to his untimely death in November 1863, Holechek surmises the emotions inherent to leaving loved ones behind as a soldier and, conversely, watching a loved one leave to fight in battle. Letters became the only connection between Cantilion and his wife and children. Accordingly, Holechek used these letters as a window into how the separation affected both parties. The letters of Lt. Thomas William Sweeny are discussed and provided in part in “Carlisle Barracks –1854-1855: From the Letters of Lt. Thomas W. Sweeny, 2nd Infantry,” edited by Robert Coyer. Sweeny stayed in the Carlisle Barracks for some time during the 1850s before moving to Missouri as a general recruiter for the Union. 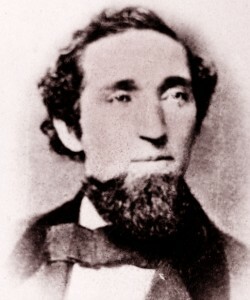 His time spent in Missouri, as argued by Coyer, “played a major part in keeping the state from seceding.” Most of Coyer’s article centers around several letters he wrote to his wife through 1854 and 1855, part of the time he spent at the Barracks. Though these letters could not note the anguish of separation of loved ones during the war, the tense and difficult relations between the couple become apparent when reading even the first letter. Patricia M. Coolmeyer collects the perspectives of Civil War soldiers from southern Pennsylvania through the extensive use of personal letters, diaries, and local newspapers. Her article, “Southern Sentiments: A Look at Attitudes of Civil War Soldiers,” illustrates the ways Carlisle, given its geographic proximity to the Mason-Dixon Line, often exchanged its culture and relations with the South. As a result, towns like Carlisle did not uniformly despise the South but rather saw an “active pro-Southern element.” This lack of uniformity emerged in Pennsylvanian soldiers. From one perspective, Union soldiers saw Southerners as “quite a fine looking, gentlemanly set of fellows. Others shaped their perceptions based on the beautiful landscape of the South. Each soldier found different ways to build their allegiance to the Union, but, as Coolmeyer makes clear, it did not always emerge out of a hatred of the South. The Cumberland County Historical Society has granted us special permission to publish these articles. We encourage readers to utilize their resources, for they have compiled an extensive library filled with primary documents and modern scholarly research. Please consult their website for more information including how to contact the Society.